Yesterday was a day of mixed signals. 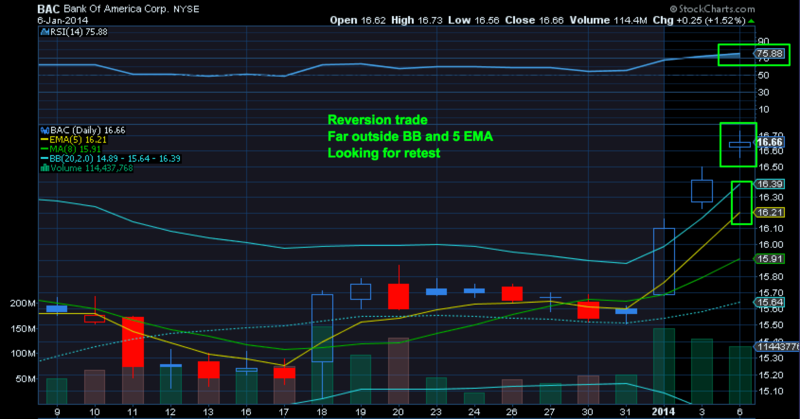 Markets pushed lower, but so did $VIX and $VXX while select stocks such as certain banks, $GOOG, $FB, etc pushed higher. In fact some of the banks extended a 14 week run with $BAC taking the cake and parking itself far outside its Bollinger Band. Yet dip buyers encouraged by that action were slapped into the close as sellers are still apparent in the intra-day action. Either way it was mixed enough action for me to take profits and close all the large futures positions and to await for better set-ups. The large divergence in the banks and $GOOG in particular peaked my interest though and I established some smaller option positions for a potential reversal trade. Here’s where we are: The 8 MA was tested and rejected and $SPX is sitting above its 21MA and has yet to fill its previous lower gap, but looks to be building a potential bull flag. 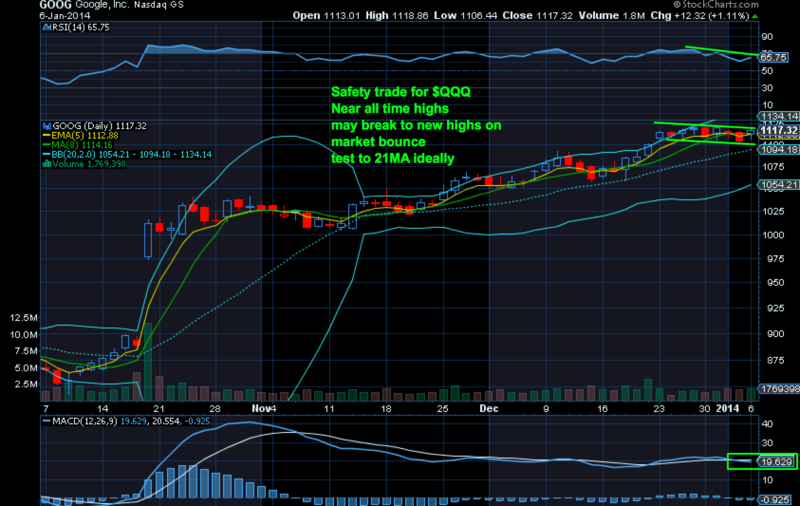 $QQQ ironically did test its 21MA and bounced. As this market never likes to be down for more than 2 or 3 days we are seeing bounce action overnight. Frankly none of this action indicated a good low is in place. You just don’t have a low with the $VIX in the 13 range. So as far as I’m concerned the market is still very vulnerable and I want to sell rips and not buy dips yet. 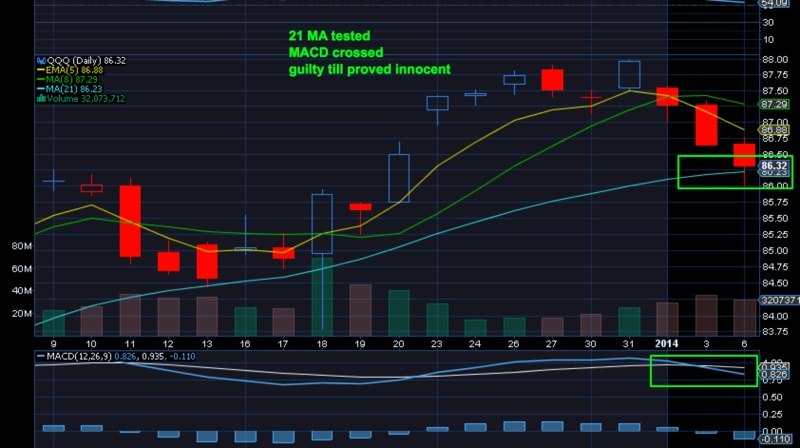 The confluence around the 21 MA remains a key target which is also a key level on the 5 hour chart with its 100MA. Overnight I’ve started a futures short position at the $ES 1828 level which was informed by the 5 hour 50MA which was previous support is now resistance. 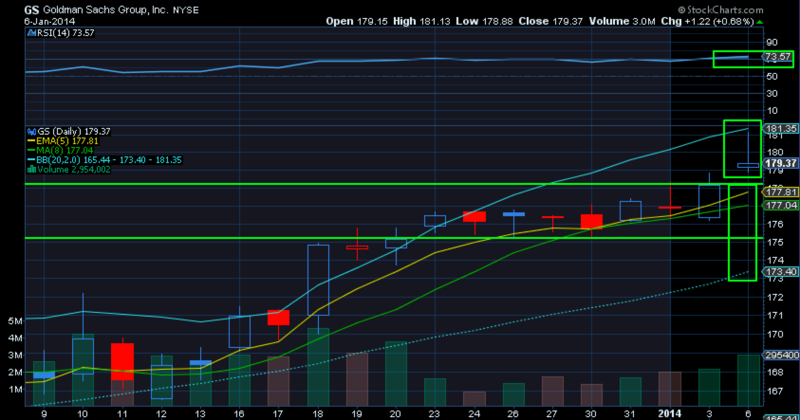 This is a day trade and I’m not married to it with a stop just above 1828, but would like to see the ride to 1810-1814. 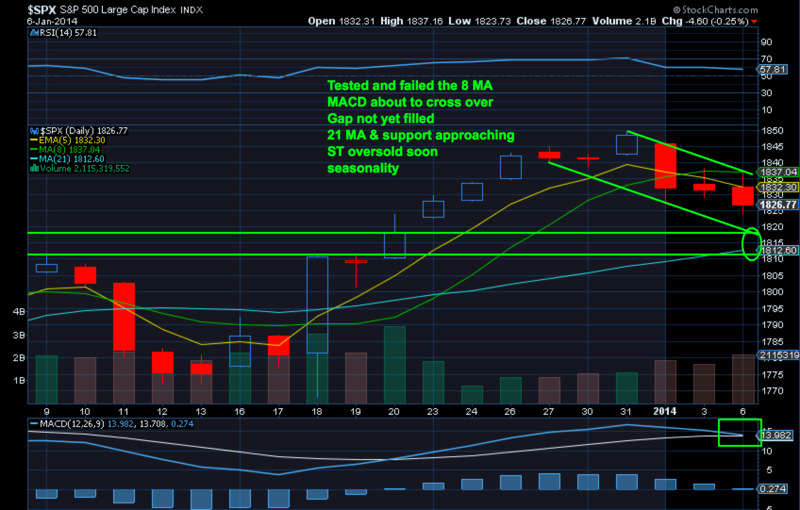 Markets may of course bounce into the 1834-1838 area which will see me re-attempting a short there. 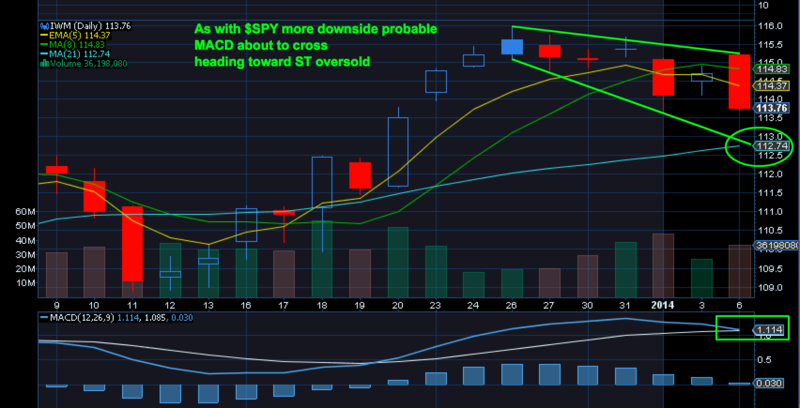 Again I am not interested in a long play until we see a solid low in place. Markets are still near all time human history highs with virtually no corrective action for over a year. If we do bounce the action in $GS, $BAC, & GOOG will be of interest as the banks in particular are very stretched to say the least. 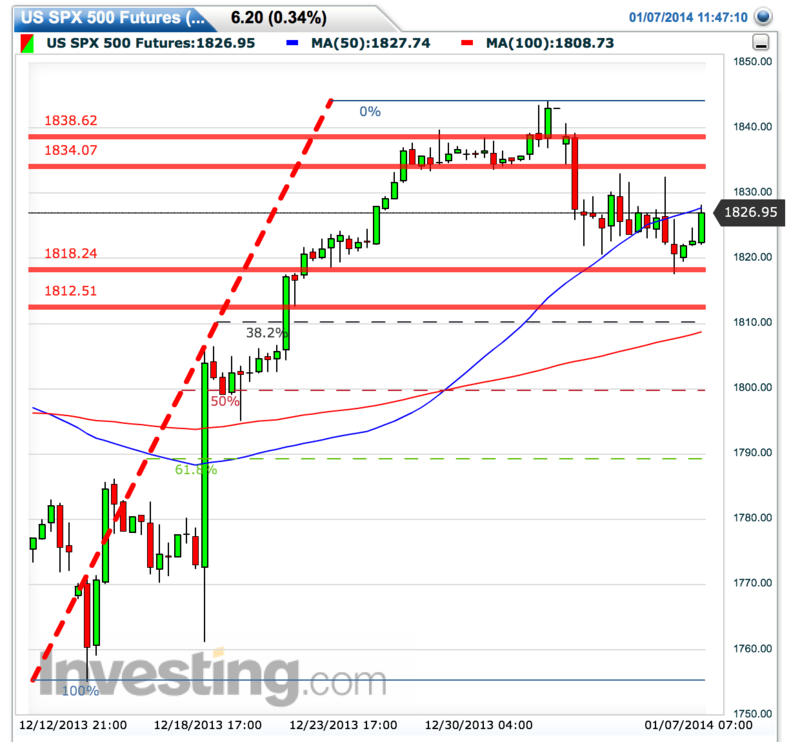 Bottom line: For a trade I like to sell $ES 1834 -1838 and/or buy 1810-1814. I sold metals yesterday as the action was getting a bit soggy and the out of blue fat finger in Gold did nothing to improve sentiment. I rather take the nice profit then be sorry.